Brits reveal their jobs could be costing them up to £2,460 a year! 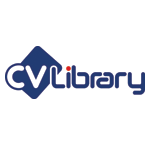 A new study from CV-Library, the UK’s leading independent job site, has revealed that the average Brit spends £205 a month on work-related expenses, including lunch, commuting and stationary. That’s equivalent to £2,460 a year! “While we expect to invest a portion of our wages back into our everyday life, it’s concerning to learn just how much professionals across the nation are losing on work-related expenses. After all, we go to work to earn money – not spend it! Professionals were asked to reveal the work-related costs they pay out each month. Unsurprisingly, commuting/travel topped the list (78.1%), followed by lunch (73.1%), morning coffee (25.5%), socialising with colleagues (17.1%) and stationary (13.1%). Interestingly, 70.5% of workers believe that employers should pay for some, if not all, work-related costs. “It’s understandable that professionals want their employers to cover some of these costs, particularly when it comes to essentials such as travel and stationary. However, if you’re offering a competitive enough salary, this should cover a number of these expenses any way. So ensure that you’re providing staff with fair pay.